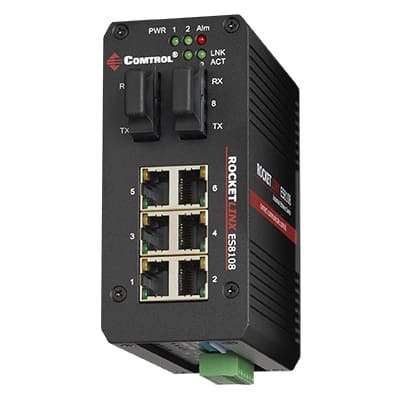 The RocketLinx ES8108F-S-XT is Comtrol Corporation’s 8-port (10/100BASE-TX ports and two 100BASE-FX Single-Mode fiber ports) industrial switch featuring a 2.0Gbps Packet Switch engine with packet forwarding and filtering mechanisms to meet industrial communications standards. It provides packet forwarding capabilities to handle 64 to 1522 byte sizes in two priority queues to optimize data forwarding performance. 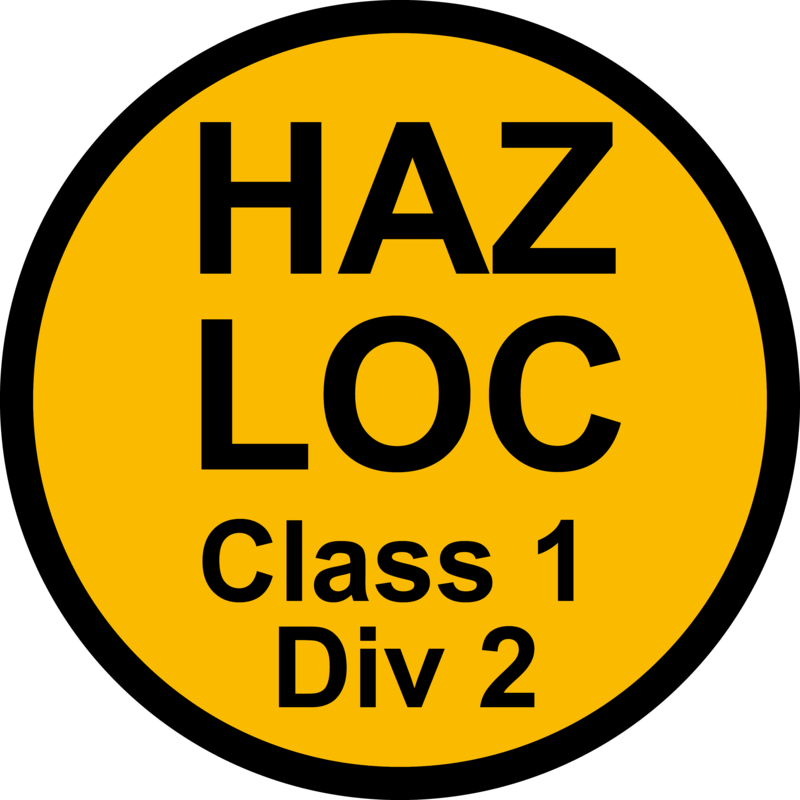 Broadcast storm filtering and flow control functions ensure data delivery free of traffic congestion. For installation in hazardous or industrial environments, the RocketLinx ES8108F-S-XT is equipped with two redundant power inputs, CID2 certification, features wide input voltage ranges, and operates within a broad -40° to 75°C temperature range. For ease-of-maintenance, the RocketLinx ES8108F-S-XT has one alarm relay for port link and power events to assist engineers with on-site notifications. 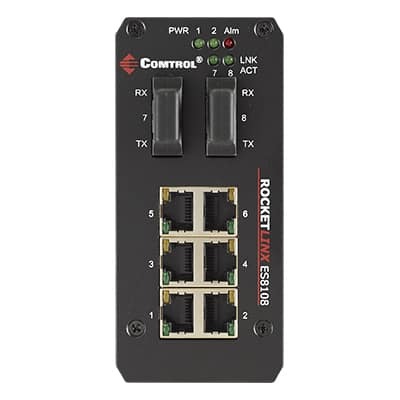 The RocketLinx ES8108F-S-XT has dual power inputs, and can also operate on 12 to 48VDC. Dual power inputs and built-in reverse power polarity protection are designed as the redundant power system to ensure power continuity. 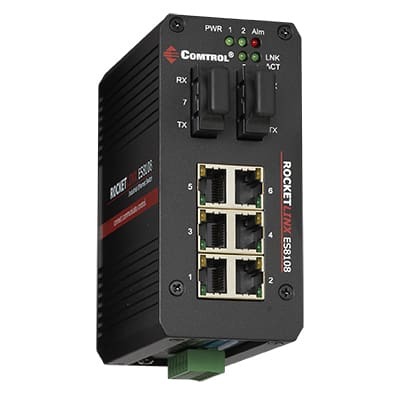 With the 1.5KV Hi-Pot isolation protection, CE/FCC/UL regulatory approvals, CID2 certification, and extended temperature ratings, the RocketLinx ES8108F-S-XT is the ideal switch solution for industrial and hazardous environments. Dimensions 4.72" x 2.17" x 4.58"
Package Dimensions 7" x 7.75" x 3.125"
RocketLinx ES8108F-S-XT Quick Install Guide Quick guide to installation and configuration information.